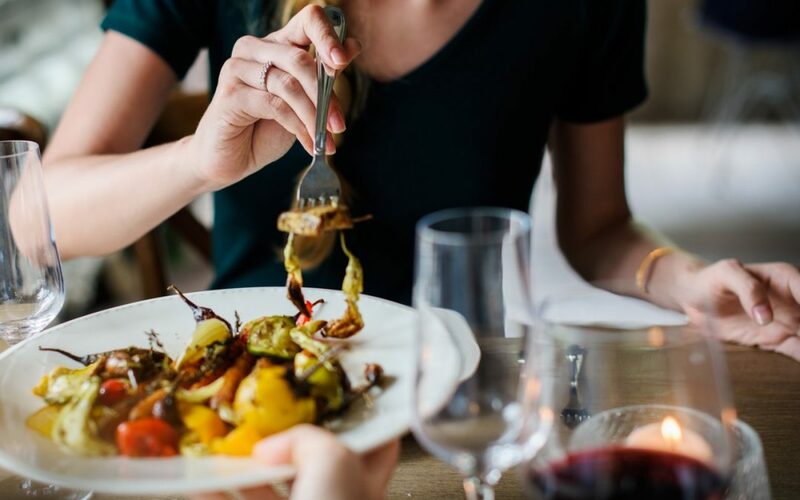 If you’re in the restaurant business, you’re probably always looking for effective ways to attract new customers and get more table bookings. Collaborating with key influencers is one of the best (and most effective) ways to build trust and engagement, and get your restaurant in front of a whole new audience. 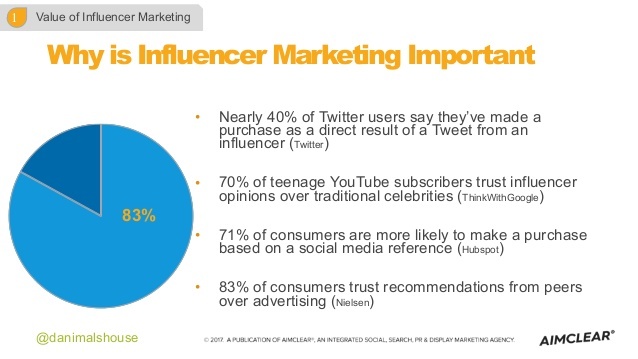 No wonder 84% of marketers are planning to execute at least one influencer marketing campaign during the next 12 months. It gives you real ROI! In fact, on average, businesses generate $6.50 for every $1 invested in influencer marketing? But how do you tap into that immense power? How do you find, engage with, and leverage the force that is social media influencers? That’s what I’m going to discuss in this post, so keep reading. Influencers have some advantages that you’ll probably never be able to replicate. They have a great deal of authority in their niche/community and have a huge, and loyal, community of followers who trust their word. Why not tap into that authority and popularity, and get your restaurant in front of their huge community? It’s a whole new untapped market full of potential customers! Get the influencer to say something good about your restaurant and you’ll have hundreds or thousand of new visitors. With so much information out there, what people listen to the most is the information coming from people they trust. In fact, 70% of teenage YouTube subscribers trust influencer opinions over traditional celebrities and 71 percent of consumers are more likely to make a purchase based on a social media reference. 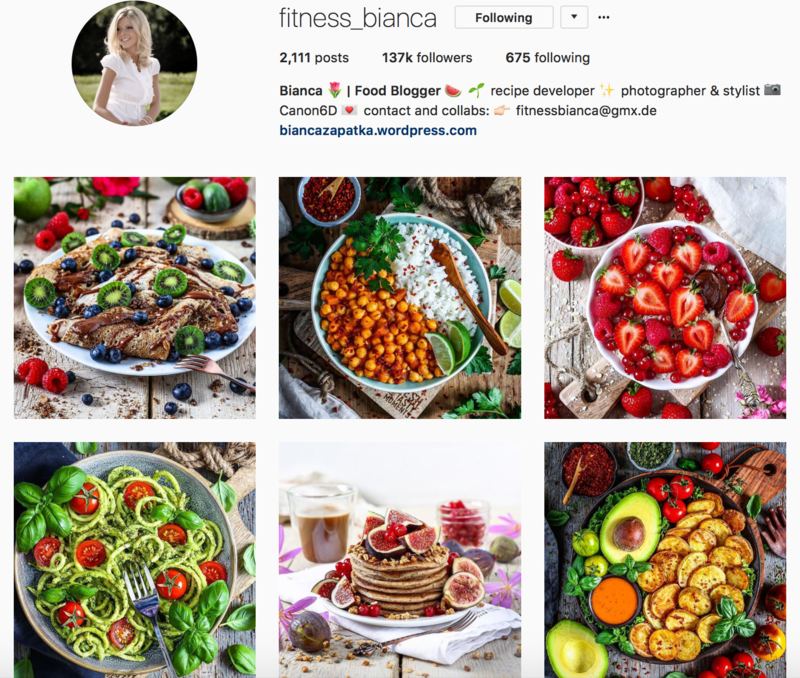 Influencer marketing can be a huge asset for almost any business, but it’s especially beneficial in the food industry. Why? Because food is extremely popular on social media. Not everybody loves fashion, does sport, or watches movies, but we all eat food. 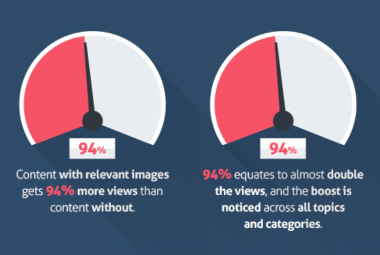 Moreover, food is very visual, and visual content generates 94% more engagement than text-based content. So, don’t miss your chance to let your restaurant shine on social, and get the right influencers to help you do that! That means that the audience actually looks, and cares about, the content the influencer is sharing. Looking at engagement will also help you avoid fake influencers – people who’ve simply bought their followers. Those kinds of influencers are a complete waste of money, so avoid them at all costs. Find influencers who consistently share high quality content. It’s a sign that they create content that gets noticed and resonates with their followers. Besides, you want your content to be in good company, right? Also look at the relevancy of the content the influencer is sharing. 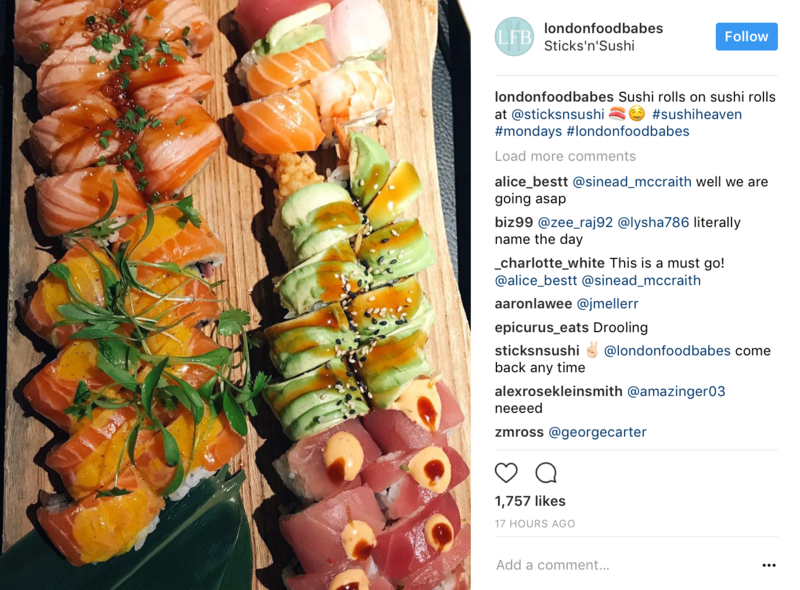 If all they do is post fashion photos or exercise videos, your restaurant picture may look out of place… And if it looks out of place, people will treat it like an ad and ignore. So, try to find influencers who either Instagram their daily life or are food bloggers. Their followers will be used to seeing food and restaurant reviews and will react appropriately. There are a lot of influencers who focus on only one or two social networks. Facebook and Twitter influencers are great for most businesses, but not all. If you’re in the hospitality business, what you really want is Instagram influencers. Instagram is the top visual network and the prime place for mouth-watering food photos. It’s where people go to get inspired and look for their next place to dine out at. So, first and foremost, try to find influencers with a loyal and engaged following on Instagram. Pinterest is another powerful visual platform, so if the influencer has a Pinterest following too, it’s an ideal scenario! An influencer can have a huge following, but if these followers are not your target audience and not in your location, it means next to nothing. This is especially important for restaurants (unless yours is a huge restaurant chain). Just think about it: If your restaurant is in London, and you collaborate with an influencer, most of whose followers are in US, the chances of those followers coming to your restaurant are pretty slim. You’d be wasting your time. So, why pay a lot of money for someone with national appeal if most of those people will never be able to visit your restaurant? Sure, if the influencer has millions of followers from all over the world, they’re bound to have people who live in your city… But you’d be better off working with a smaller influencer whose audience lives in your area. For example, if you live in London, you might want to reach out and build a relationship with the @londonfoodbabes. Don’t get blinded by the huge following number – think quality, not quantity. Find smaller influencer but ones that are active and have a following in your city or community. 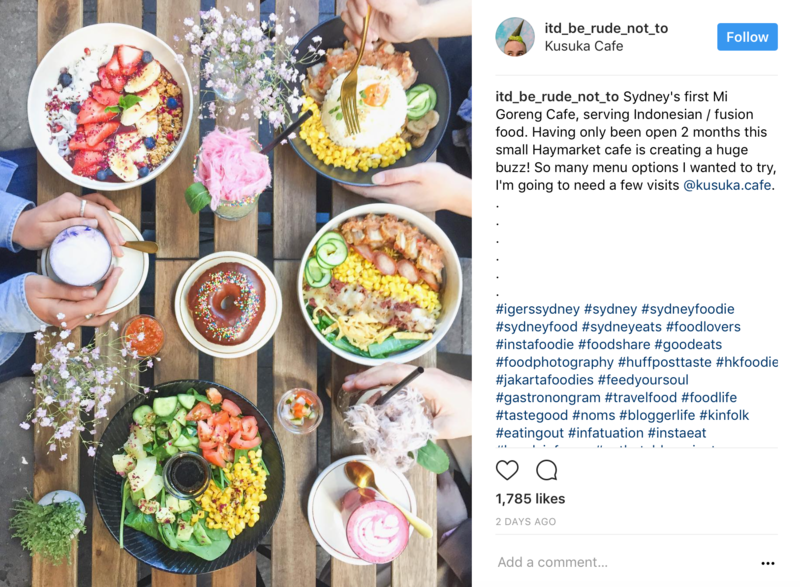 Always start with the basics: get the influencer to visit your restaurant and Instagram about it. Once you’ve found the right influencer or influencers for your business, send them a direct message with your offer. The best thing you can do is offer them a free meal in your restaurant in return for a positive Instagram post. If they’re a big influencer, they may also expect to be paid for posting about your restaurant, so discuss all the details beforehand. This is your chance to get your restaurant and your dishes in front of the influencer’s huge audience. This is also an opportunity to test out this influencer and decide whether or not to work with them in the future. If the review they give you is great and generates huge engagement and table-bookings – you’ve found your perfect influencer! You can invite the influencer back over and over again (granted that they instagram their meal each time) or you can collaborate with them and make other offers. A positive review from a trusted influencer can go a long way towards convincing a person to dine at your restaurant. The good news is that you can also add additional incentive to help them make that final decision to choose your restaurant. Give a small discount to every guest who follows the influencer’s recommendation and dines at your restaurant. It doesn’t have to be huge – just enough to get attention. Simply tell the influencer the conditions of the discount: what their followers need to do to secure it (say a codeword, show that they liked the influencer’s review post of your restaurant, etc). Not only will this give people more reason to visit your restaurant but it will also strengthen your relationship with the influencer. Most of them love their followers and are always happy to help their fans get discounts and special offers. One time Instagram reviews from influencers are great, but what you really want to work towards is a relationship. The more you collaborate with the influencers and the more they post about your hospitality business, the more customers you will have. 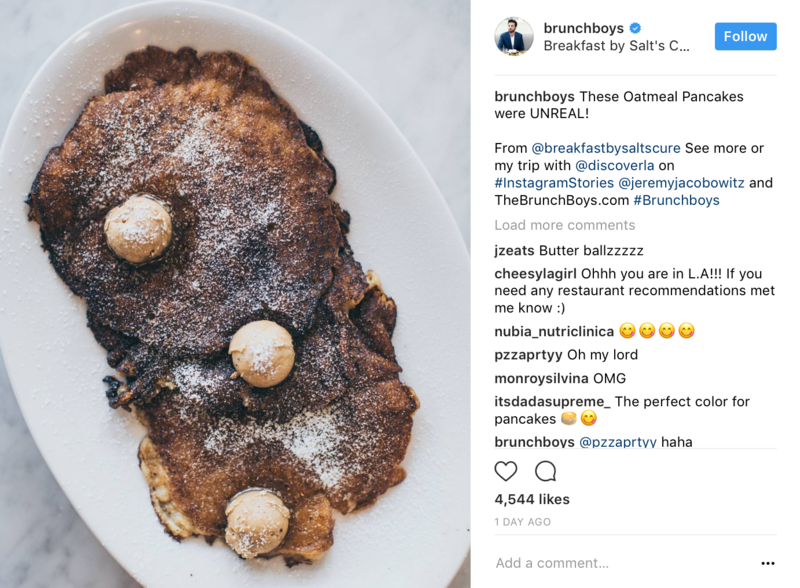 It’s a well-known fact that people rarely buy (or even remember your brand’s name) at first contact… But when their favorite influencer posts a mouth-watering photo from the same restaurant over and over, the interest peaks! So, focus on building a relationship with your influencers. One of the best ways to do this is by getting them involved in your brand and campaigns. The more invested an influencer feels in your brand, the more prone they’ll be to showing your restaurant in a favorable light. So, get the influencer involved in some business decision. Ask them for their help in picking a new dish, the name for a dish, the best dressing for the salad, etc. They may even want to get their followers engaged. And that means a lot more attention for you! People love to get involved and feel like they’re part of a brand. So, create a challenge or event for the influencer and their following to take part in. It can be a hashtag campaign or some type of competition. The possibilities are endless. 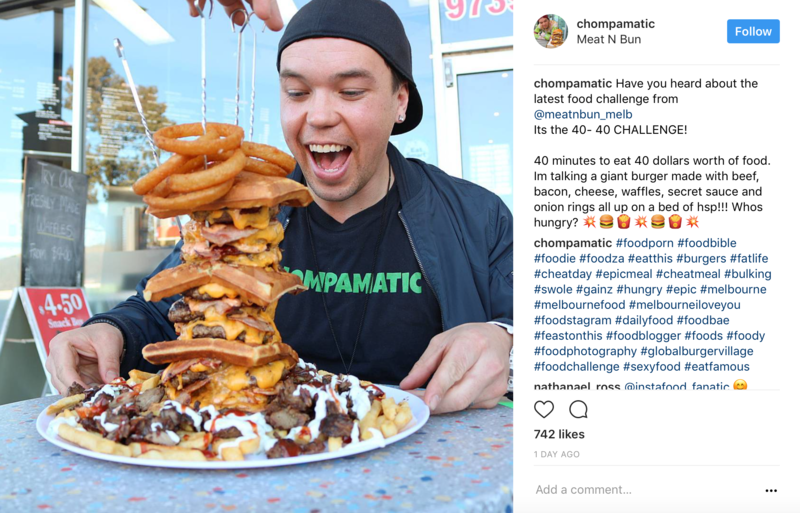 For example, the Meat N Bun Restaurant has a 40 in 40 Challenge: A $40 meal made up of waffles, meat patties, bacon, cheese, sauce, onion ring, and Chips & Gyros Meat. If you manage to eat this crazy 1.6kg meal in less than 40 minutes, you don’t have to pay for it. Meat N Bun invited chompamatic, a food influencer, to give it a try and post about it on social. After he did, they made sure to talk about his visit and challenge in one of their facebook posts – thus gaining extra attention. The great thing is that any restaurant can do something like this! Once you’ve built a good relationship with the influencer and know that your partnership is benefiting you, it’s time to transition to the next step. Ask them if they’re interested in being a brand ambassador for your restaurant. They may even agree to be the face of your brand. There’s no formula or exact rules about what an ambassador’s obligations include, so talk with the influencer and come to an agreement. Most ambassadors are constant supporters of the brand: mentioning and recommending it at any appropriate opportunity. They may allow you to use their name and image to promote your brand and boost sales. Most also agree to help promote or take part in your special offers, events, etc. In return, you can let the influencer dine for free at any time they want, pay them monthly, or any other condition you both agree on. It’s a collaboration that can really benefit your restaurant: getting you brand awareness on a large scale. Another great way to get more attention and table bookings is to work together with an influencer to host an event. In fact, LaunchMetrics did a survey to test influencer engagement, and of the 600 professionals that took part in it, 70% found that the best way to interact with influencers and get great results is through campaign events. 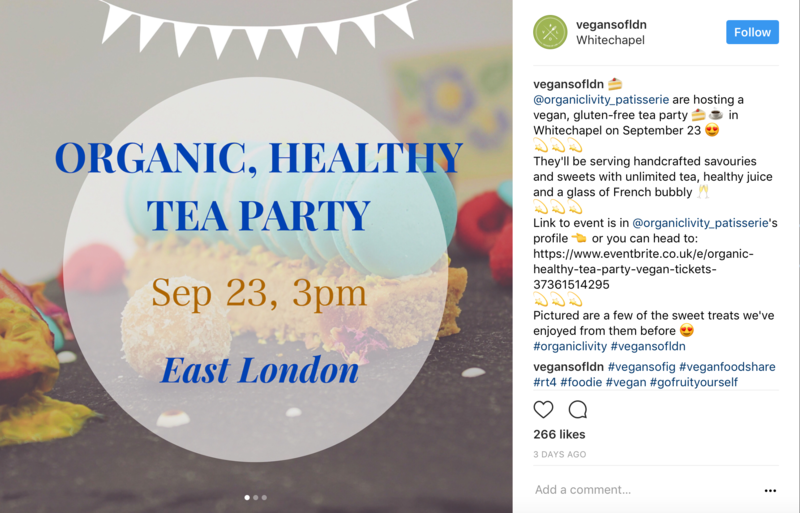 Or it can be an event centered around the influencer and their following.For example, influencers sometimes host get-together parties with their fans. Why not suggest they do it in your restaurant or cafe? You can close down or reserve an area in their restaurant just for the influencer and their followers, or give them a special discount on the food they, or their fans, order. You can rest assured that there will be a lot of photos taken in your restaurant and posted on social – all fantastic publicity for you! That’s all super-valuable user-generated content you will be able to use for months ahead. In fact, 87% of brands leveraging influencer marketing believe that one of the biggest advantages of working with influencers is the content that’s created during the process. Influencer marketing can be an immense benefit for a restaurant business. In fact, a recent study showed that influencer marketing generates 11 times the ROI of traditional digital marketing. Do you really want to turn down an 11-times greater ROI? Of course you don’t. So, start leveraging the power of influencer marketing and building strong relationships with social media influencers. It’s a sure step to attracting more attention and table bookings!